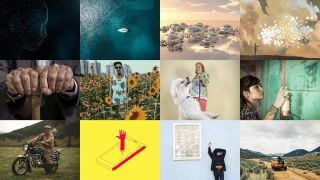 The team at Adobe Stock share what they believe are the image trends set to dominate this year. 2017 is the year that machine learning comes to life with innovative tools built to bolster the creative process. Technology brings new perspectives with aerial photography guided by drones and 3D art tools for a look at every angle. Finally, perhaps in response to an overly industrialised world, we’ll see the popularity of more delicate art, and – ironically – the digital tools used to create it. Think of self-driving cars and VR, the possibilities that come with these new technologies are endless. While we can’t predict whether a bot will take over our jobs, we can look at how technology as a partner helps us overcome our fears, and our struggles in development and creative endeavours. New technological advancements are being used for creative purposes, including making it easier for you to find the right visual image as you search on Adobe Stock, as well as auto keywording to help designers find the art you submit to Stock. Aerial photography has reached new heights since the invention and popularisation of drones. We can now produce images from viewpoints that were never before possible. This year, we’ll take a look at how this new perspective affects our creative output, explore controversies and see what direction technology will go next. 3D tools and design applications are growing and innovative tools are simplifying how it’s used. Adobe’s Project Felix is expanding the number of designers familiar with 3D by using technology to simplify the creative process. With 3D art coming of age, designers will be looking for images to support their creations. In an ever-industrialized and technology-focused world, it’s natural to respond with a gravitation toward handicraft. Ironically, the delicate nature of this trend is enabled by the very thing it is responding to – technology. Tablets and responsive pens allow artists to create ever more realistic, delicate, and detailed art. This year, we expect to see a more astute eye for detail in digital artistry, mimicking the work of reality, such as brush strokes and textures, while paying the utmost attention to minute details. Designers and consumers alike are quickly realising that good art does more than help people find answers or take action. It pushes the envelope, provokes emotion, and excites. We’ll see images designed to narrate a full story and photography that refines how it blends with video. The exploration of meaning will also extend to questioning boundaries and investigating perspectives. A rise in unbalanced compositions will compel viewers to see beyond the norm. And shining a spotlight on female creators and subjects will highlight gender roles and diversity for completely new perspectives in 2017. In 2017, the narrative of a single image or six-second video has the same need to tell a story as long-form content – and that narrative must resonate with viewers and provoke emotion. Visuals that speak to the correct audience, and choose the right tone and setting will be most successful. Also, look for stories that are told through a variety of methods: a beginning, middle, and end combined in a single view, or instead, one element in focus with room for the viewer to interpret what happened before or what will happen next. Urging the viewer to see beyond the norm, compositions aim to show people, objects, and situations in a new perspective. Whether it’s the actual composition of an image itself, how it was shot, the angle and placement of the subject, or the subject itself being portrayed in an unusual, mind-boggling setting. Think of Cindy Sherman’s unsettling portraiture that manipulated classic positions and perceptions to create a distorted image. We look forward to celebrating women and their creativity, notable figures in the creative field who are pioneers of their time, as well as contemporaries who are ever expanding their influence. This trend brings gender roles and diversity to the forefront for a more balanced perspective. 2016 was a year filled with digital chaos, distraction, and uncertainty. This year, the world is ready for simplicity and truth. In art, that translates to getting back to nature and considering how we relate to the Earth. Function will be popularised over form and this simplicity paves the way for minimalist design that adheres to the “less is more” concept. Maximise white space and layout that’s simple, clean, and authentic. Additionally, editorial photography will highlight realities that appeal to modern consumers and design teams who want to embrace clarity and transparency. Clean, functional, and unfiltered materials lead the pursuit of the ordinary. This trend draws inspiration from natural forces and explores mankind’s relationship to all of Earth’s organisms. As we recognise our comparative helplessness against the forces of nature, we wonder how nature, space, and solitude impact creative work. We’ll look at notable examples of creatives taking inspiration from the vastness and rawness of nature. Function is winning out over form when both together are not in reach. A lack of content can no longer be disguised by pretty packaging – it first needs substance and weight. Social media has given a voice to everyone and celebrities recognise that people are expecting more than their faces emblazoned on selfies – we want their intelligent support for social issues too. A nod to Vogue, known for its reporting on fashion and beauty, for weighing in this past November on politics – a new direction full of relevance to its female audience. Gone are the days of extravagance. With so much of the world in flux, we return to basics and focus on only the truly necessary. Anti-luxury, natural beauty, and a return to the idea that less is more. Dealing with the reality of military, social, cultural, and political conflicts in the world, whimsy is fading and the rose-tinted lenses – Pantone’s Colour of the Year 2016 – are out. Brutal, abrupt, less comforting ­– but truthful – images are in. Photography will highlight the power of the authentic image, as seen in distressing scenes of migrants attempting the journey to Europe and the devastation of Aleppo. They may be excruciatingly graphic and cause inner pain, but they awaken the world to emotions that otherwise may remain buried. With new tools, new expectations, and a new sense of purpose, designers will have more freedom and flexibility to be original, striking connections with audiences based on authenticity and emotion. With diversity as a backdrop, storytelling and personality will become more valuable than ever – and that’s great news for consumers and creatives.